This anthology, the most comprehensive available in a single volume, brings together all of the major poets of the American Renaissance along with many lesser-known poets now being rediscovered. A critical introduction situates the poetry in its historical context, informative headnotes introduce each poet, and notes to the poems provide helpful explanation to unusual words and references. 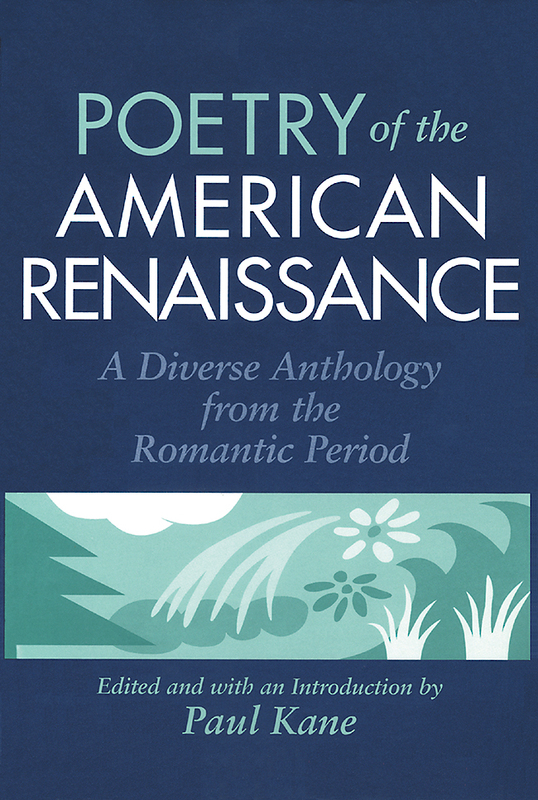 This anthology, for the first time, presents the brilliant poetic legacy of the American Renaissance in a convenient and accessible format. Poets Anthologized Include: Emily Dickinson, Ralph Waldo Emerson, Julia Ward Howe, Emma Lazarus, Henry Wadsworth Longfellow, Herman Melville, Adah Isaacs Menken, Edgar Allan Poe, John Rollin Ridge, Lydia Huntley Sigourney, Henry David Thoreau, Jones Very, and Walt Whitman et. al. Paul Kane teaches at Vassar College and lives in Warwick, New York.